Kaur is an excellent student who favors her science classes, finding topics like space and environmental science especially intriguing. She has multiple challenging classes where she hopes to push her limits and dispose the unhealthy habit of procrastination while still enjoying her senior year. Kaur is trying to be present in school life by going to sports games and participating in clubs such as API, Project Smile, and CSF. Kaur is President of Project Smile and loves the club's goal of spreading positivity. She wishes to continue her life's path in the medical field as a general practitioner with a minor in environmental science. 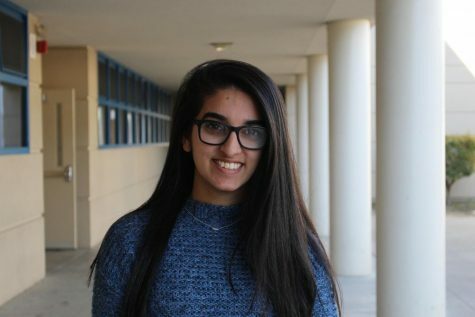 Outside of school, Kaur is a Youth Advisory Commissioner and works alongside students from all the high school's of Tracy. This involvement in city government allows her to interact with all types of people and help create opportunities for teens with the help of City Hall. She loves Marvel movies and her favorite super hero is Iron Man. Sone of Kaur’s favorite movies are Interstellar, Harry Potter and the Goblet of Fire, Fast Five, and Meet the Robinsons. Aside from her student life, Kaur is quite the frequent flyer, she loves to travel and experience new cultures. She has been to Australia, England, Italy, France, India, Canada, Mexico, and Hawaii but longs to explore much more of the globe. Seeing the Northern Lights and visiting NASA HQ are two things at the top of her bucket list.